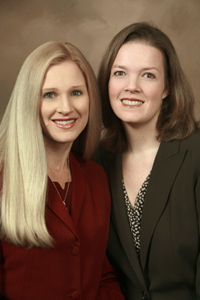 Annalisa Moore Masunas and Angela C. Moore are sisters and partners in this unique Tucson law firm. Angela handles estate planning, trusts, wills, probates, guardianships, and conservatorships. Annalisa is a certified family law specialist and is a fellow of the American Academy of Matrimonial Lawyers. She handles divorce, custody, property settlements, paternity, spousal maintenance, and premarital agreements. Estate Planning by Angela C. Moore. Family Law by Annalisa Moore Masunas. Learn more about the attorneys and administrative professionals that make up the firm. This web site is designed for general information only. The information on this site does not create an attorney/client relationship, and shall not be considered legal advice.